Clean water is essential to a humans wellbeing.we should be grateful for living in such a plentiful country and think of others around the globe who are less fortunate that we are. 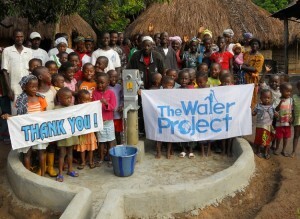 hope you'll consider joining me to fund a water project. With your gifts and your help rallying support, we can provide clean, safe and reliable water to a community in Africa.